What is a “marketing qualified” lead? A marketing qualified lead (MQL) is a lead who has most likely been pushed through your marketing sales funnel and, through your funnel’s intelligence, is determined as an ideal lead for your sales team to turn into a customer. 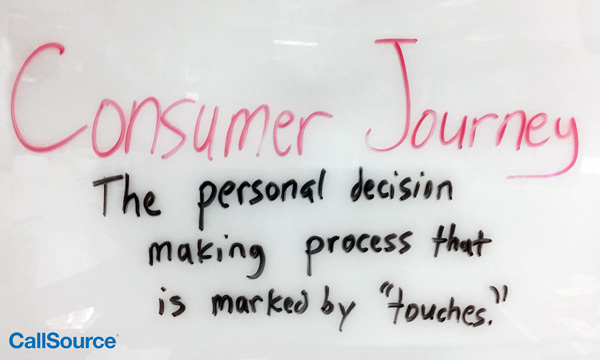 Let’s identify this process for your business by looking at the consumer journey, what steps exist in your funnel, and finally with looking at measures of buyer intensity. Do you know if what you are communicating to your potential customers in your marketing campaigns actually aligns with the messaging you want them to receive? If your answer is not a definitive “yes,” then you may want to re-think the current touches your consumers are receiving. If your company has a clear mission, vision, and purpose, it will benefit you to re-emerge yourself and your marketing team into those to better understand what you are communicating to your consumers during their journey, and make sure it aligns with the business’ goals. Regardless of how long the buying cycle is for your consumers, you should be confident with your messaging you’re communicating to them. Who do we say we are? As a company? As a department? 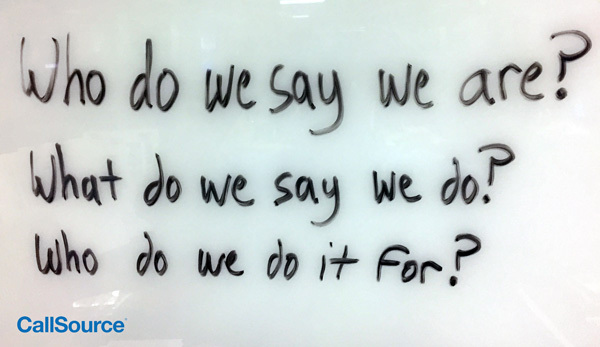 What do we say we do? What do you tell your team? Who do we do it for? Whose needs are being satisfied by you and your company? What are the exclusive benefits that we can offer right now? OK, you may be thinking, but how do these help me produce better qualified leads through my marketing funnel? Look at your marketing messages as if you are the consumer. You must be able to clearly and concisely communicate the value that you offer to your customers and do it in a way that not only makes you stand out from your competition but also is congruent with what your company represents. If you aren’t familiar with your company’s mission, vision, or purpose, how can you be sure that your communication is on brand? Marketing that does not match the actual expectation of the customer is a sure-fire way to displace your customers’ trust— this disconnect in your messaging and the customers’ expectation gives them a perfect reason to move on. The difference between closing a sale often comes down to a “gut feeling,” a simple impression, or feedback from others, which can either result in a very large boost or fall in sales. How about a shortcut? Write this down in the perspective of your customers, and answer it! If only I could just _____________ then I would be able to ______________. Assuming your business is a car dealership and the example is a real concern of your customers this shows you that you need messaging communicating that your company is hands down the best at identifying a product (cars in this example) made for people who deserve the best because they are the best. Now that you know the type of customer you are after, you can take this scenario and use this type of messaging in your emails, advertisements, and mailers. Even when people walk in, you can enhance the in-person experience with a personalized process of asking the important questions that are needed to identify the car they deserve. This is one example of why knowing your consumers, the journey they are on and where they want to go can help you to create better messaging and a more unified experience—giving you a better chance of getting them into your marketing funnel. The funnel is where it gets personal. Maybe you are already converting and selling at a good pace—but how to do you improve so much that it’s not only “good,” but legendary how well you are doing? Do you want to be known as the most successful among your competitors, known as the king of what you do? Then you need to get better at personalizing your opportunity stages along your funnel. Every stage of the funnel has a mutually exclusive goal that is unique to its position in the journey, unique to the required personalization for your consumers, and unique to all the marketing activities that occur. 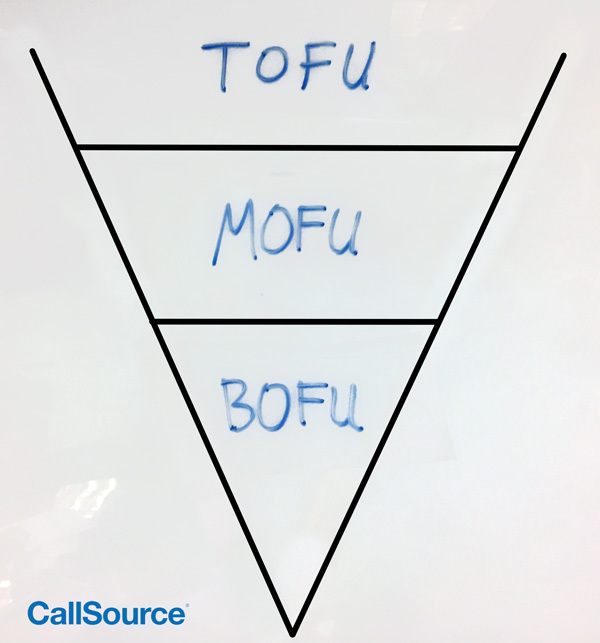 The beginning, or Top of the Funnel (TOFU), has a goal of bringing awareness to the consumers who are at the beginning of their journey into the funnel. They are here because they have a problem and you have the solution. Unless you make them aware that there is a problem and that you can provide a solution, they will have little to no interest in you. How do I make them aware of me? To make consumers aware, reflect back on the previous questions asked above—your answers should tell you what you need to resolve to communicate your company’s solutions in a way that speaks to them. Wherever you talk to your customers, you should be communicating your value proposition. Take it to the next level, with personalization. The key to becoming legendary is having more precise personalization. If you can (which may be difficult unless you have deep pockets), try to speak to the smallest amount of consumers as possible so you can be direct and personal with your messaging. Marketers dream of calling their consumers by name and guiding them through to the sale by holding their hand…if only! 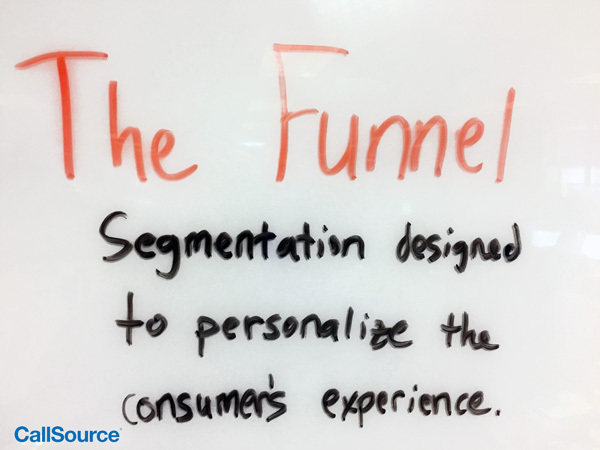 Personalization that is realistic is based on segmentation. I can’t tell you exactly because every company’s situation is unique. Joking aside, if I knew you on a more personal level, I would definitively have a list of ideas for you. Hence the beauty of personalized content, which is content that makes you take notice. Matching is pairing the right content to the right consumers at the right time. When you can successfully match your consumers to great content they relate to, you have a better chance of getting them to the Bottom of the Funnel (BOFU), and into a great marketing qualified lead (MQL). Now you know how to move your consumers through the marketing funnel—but let’s delve a little deeper. With improvement, you are on the cusp of being unstoppable – but what are you missing? You need to be able to improve constantly. Markets shift, trends happen, employees leave, tools change, and you are left trying to pick up the pieces. You’ve got things that are working, but I want to help you ensure that they continue to perform and are reliable amongst those unpredictable circumstances. Knowing your consumers’ Buyer Intensity means knowing which consumers are ready to buy, which are close but need more of their questions answered and which are simply not interested. These groups (and many more groupings) are based on segmenting consumers depending on what interests them. You know what interests your consumers if you have tracking and measurements on the content that you produce. One of my favorite sayings is, “If you don’t measure it, you don’t know what to improve.” That rings true here because you need to be able to measure engagement. I’ve talked about the top and the middle of the funnel, and the importance for personalized messaging throughout. 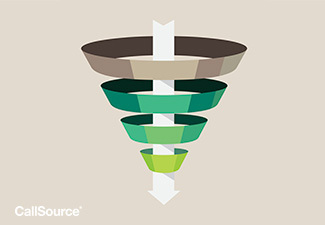 While continuing to the bottom of the funnel, you still need to be measuring what is working. Deciding how you want to measure each of these consumer engagements is up to you—attribution is fickle (read my last post on some different attribution methods here) in regards to how much credit you give each measurement in a weighted, average way. The most important part is that you do try to measure it, in whatever capacity you can. You may not be ready to start using the data you get yet, but have a plan in mind at the beginning of how you will use the information you receive to make your process better every time. Each of the example measures above also contribute to a best practice in marketing. One of the first steps taught by a past professor of consulting was to “identify the problem, find a solution, and build KPI’s (Key Performance Indicators) for the future.” You can do this by measuring what you do and focusing on what’s most important for your consumers and your success. This brings us to the close, the end of our story. Let’s summarize the steps into a usable guide for creating better marketing qualified leads through your marketing funnel. For messaging based on the consumer journey: The company’s exclusive benefits for a targeted customer group. For personalization based on your unique funnel: The company’s commitment to bringing consumers the value they need, when they need it. 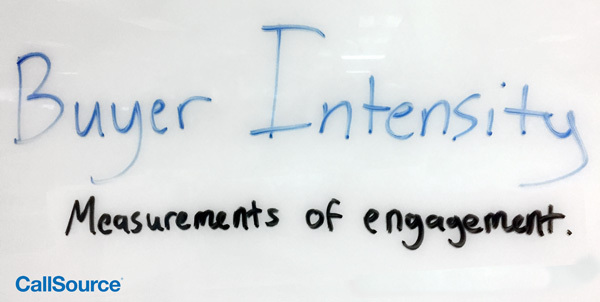 For measurable interactions: The company’s process for measuring engagement and the plan you have to improve every single piece of content and messaging. By qualifying what content is valuable, which steps of the funnel are best, and what content is giving the most value at every step in a personalized way, you are on your way to becoming unstoppable. At its heart, qualifying is all about using engagement to personalize the consumer journey. 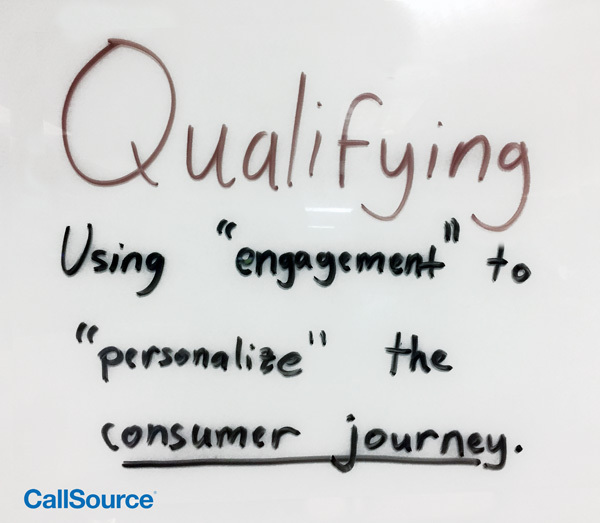 You may be thinking, “Why am I using engagement to personalize, and not personalization to engage?” Well, in order to properly personalize the consumer journey, you must study your consumers’ engagement to better qualify them. You cannot do that without proper messaging that is designed to deliver value. 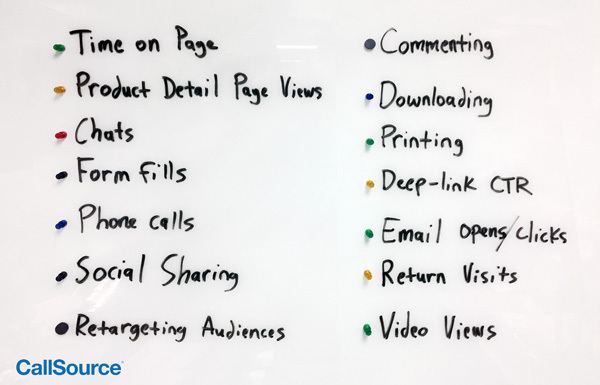 You won’t be able to uncover what is working or why without measuring it, and ultimately you won’t know where you need to make new content unless you can identify those stages in the funnel that are constraints for your consumers. Every consumer is on a decision-making process in regards to your business whether they acknowledge it or not. At some point, they will enter the final stages, and you need to work smart to be in their decision pool. The important criteria that every consumer needs are unknown to you – so you need to build a qualifying process around discovering what those needs are to move them through your marketing funnel. If you knew their needs, you would make content to lure them in, or you’d call them up and give them the 60-second pitch that would change their life. Get on message and learn about your consumers and their journey to get to you. Move your consumers through the marketing funnel by personalizing your messaging. Measure your consumers’ buyer intensity based on their engagement. Follow these 3 steps to start getting better-qualified leads. Questions or comments? Let us know below! Subscribe to the blog for more insights like these.